For a while, the magazines were stacked in a small pastel-coloured locker in the basement of the Hall building. Two years later, L’Organe, the only French student publication at Concordia, can finally say it has a home. Its new office is located on the corner of Guy St. and Ste. Catherine St. W in the TD Building, which was a gift to the university from the bank by the same name. It’s a turning point for L’Organe. Not only does it now have a proper work environment, the publication is transitioning from one editor-in-chief to another for the first time. In addition, the magazine wants the university to start collecting its $0.06 per credit fee-levy again. It was suspended for two years, effective after a January 2015 Board of Governors meeting, but is on the agenda of the March 8 meeting, according to University spokesperson Chris Mota. 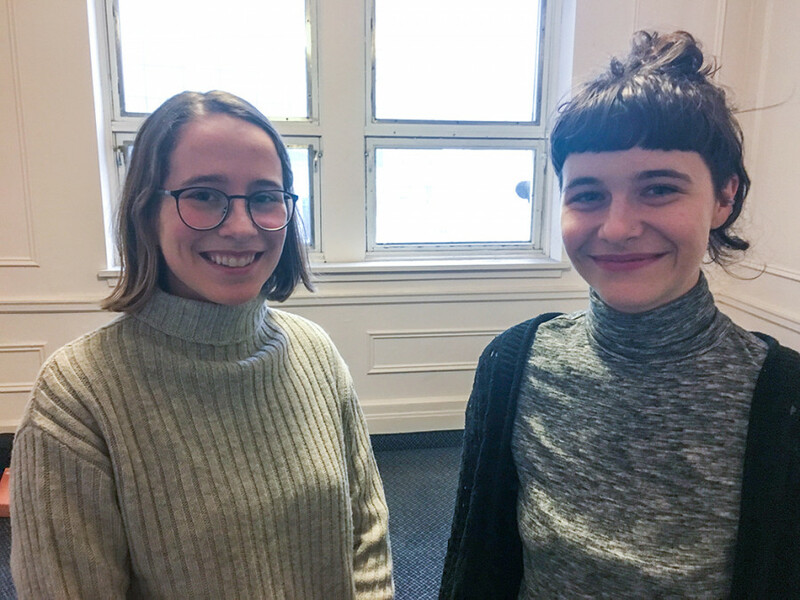 Concordia Student Union General Coordinator Lucinda Marshall-Kiparissis is confident that it will succeed without complications, effective September 2017. In 2014, Pierre Chauvin, Flora Hammond and Charlotte Parent successfully brought the magazine back to life after a three-year hiatus. L’Organe had been inactive since 2011 when the entire group of editors left. Parent, who has been editor-in-chief since 2014, is now giving her seat to Emmanuelle Aïsha Sparkes. Chauvin, meanwhile, is the president of the magazine’s Board of Directors and a former editor of The Link, like Hammond. Parent, despite not being part of the editorial staff anymore, will stay with the team to help Sparkes and take care of the administrative work—namely furnishing the new office. The magazine does however face a major hurdle. The university’s wifi doesn’t reach the new workspace. “We’re looking for a solution,” explained Parent, who added that she will be contacting the Facilities Management to fix the issue. She hopes to solve the problem before February, so that the team can work on the next magazine in the new space. “It’s tiring to work without an office because you never know where you’re going to meet up,” explained Parent. In the past, the team would meet up at the Liberal Arts College on Mackay St. because Parent is a student there. Parent learned earlier this month that the magazine had an office in the past and, as a result, was able to reclaim two computers and a camera. During her time as editor-in-chief, Parent would do most of the editing because she was the only one who had Antidote, a French text corrector, on her computer. Sparkes is joining L’Organe in a much different work environment. “I’m very lucky [to join at this time]. I did not have to pave the road,” said Sparkes, a translation student. Nothing came easy for Parent in the beginning, so she’s making sure Sparkes can focus on the editorial work. In 2011, the initial team could not access the magazine’s bank account because the organization’s file in the provincial enterprise register had not been updated since 2007. To help the new editor-in-chief, L’Organe created the production manager position to take care of distribution, promotion and events. Parent formerly completed all these tasks, in addition to editing most of the magazine. They are now the responsibility of Maude Marcotte, another student in the translation program. Sparkes also joined a staff that was mostly complete, but the new editor-in-chief said she was welcomed with open arms. “I’m already the editor-in-chief, I’m learning on the fly,” said Sparkes. She was especially interested by the multidisciplinary qualities of the magazine. “L’Organe is not only a literary magazine, that’s what I really like about it,” she said. Sparkes is working with Marcotte to grow the audience. “We started writing to several departments, such as the French studies and English literature departments,” Sparkes added. The new editor-in-chief would like to have more participation from Anglophones at Concordia. “If someone sends a small text that we find interesting, we can find a way to translate it,” said Sparkes. Much like the variety she likes in the magazine, the publication’s next launch party—an event that accompanies each edition—will not only feature the usual readings of essays from the magazine, but also theatrical or musical performances, depending on what the team receives from its call for performances.